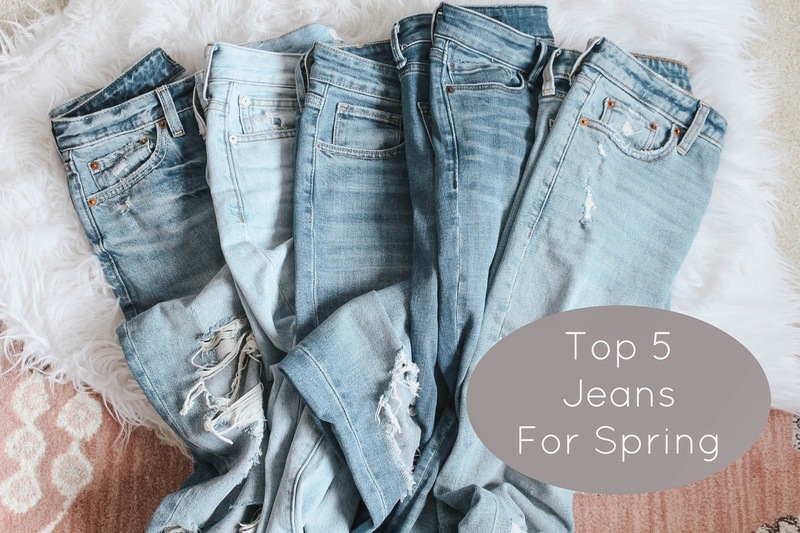 Today I wanted to share with you all my Top 5 recent jean picks for spring! I have been really loving denim lately. Probably because after a long pregnancy all you want to do is wear your regular jeans again!!! 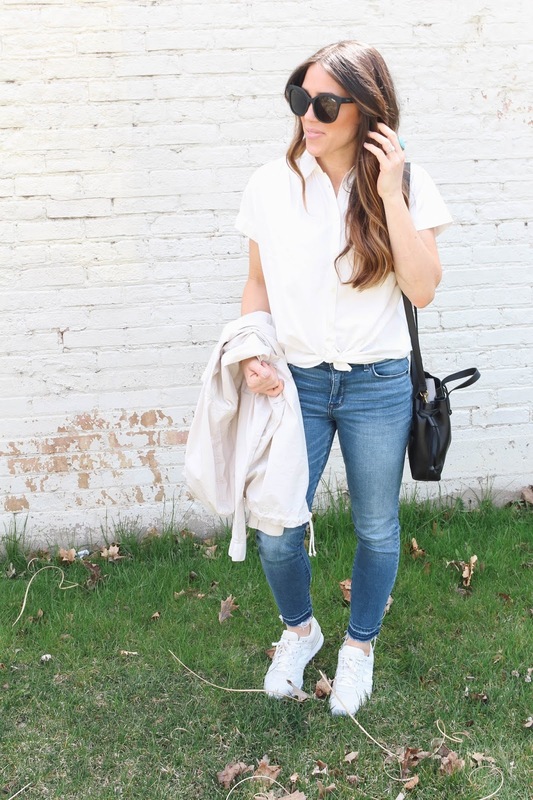 Today I have 5 pairs I think are perfect for spring or really any time of year!! 1. Abercrombie High-Rise Slim Jean. 2. 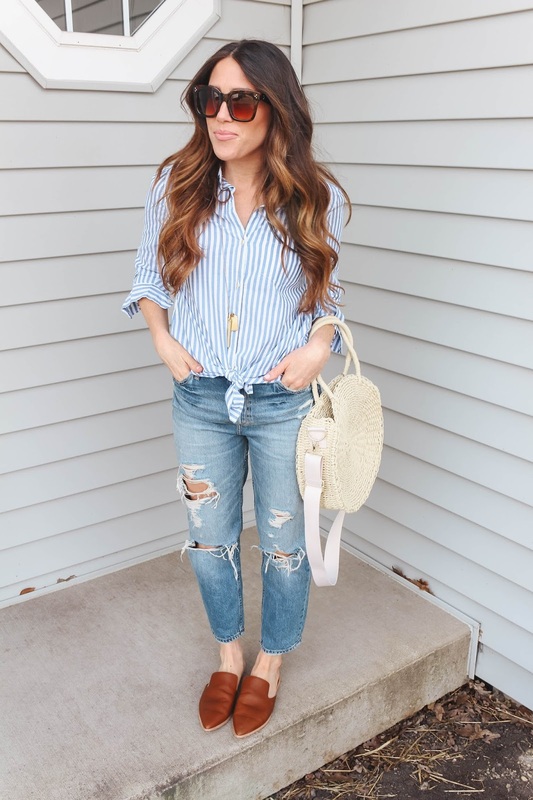 Madewell Perfect Summer Jean. Ok I know I talk about these to death. I really really love them. I love boyfriend jeans. I have loved them for years! These are a great fit for me. They are oversized and high-rise. Like the old school “mom” jean. These have been around for a couple years now. I finally pulled the trigger this spring and I am so glad I did. They are so comfortable! A soft comfortable jean. To me they just go with everything. They are also mom friendly for bending down and moving…Thank you God for the busted knee!! I had been on the hunt for a new “boyfriend” jean. After having Rory, I found my love for high-rise jeans. I saw these and decided to give them a try. 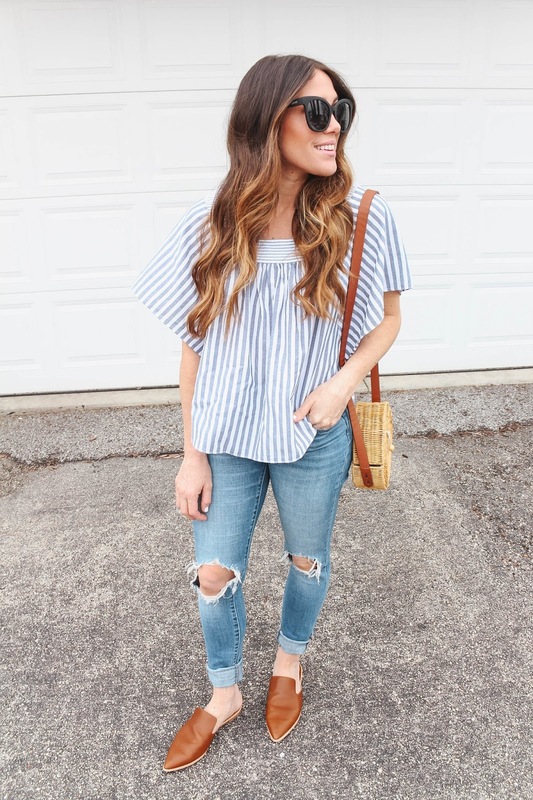 I think boyfriend slouchy jeans for spring and summer are super cute with t-shirts and light-weight tops. They give any look a relaxed look. I found these to be perfect (I got them in a short) because they taper off at the bottom and don’t look as boxy because of the high-rise fit. These are a winner for me! I actually scooped these up when I was pregnant this past fall. They are still available and I LOVE THEM. I grabbed them in my normal size hoping I would fit into them post-pregnancy. I did..phew. Good thing because they are so comfortable. They are forgiving because they have a little bit of stretch to them. They are an ankle jean but I love that it doesn’t have any distressing on the legs except for a raw hem frayed bottom. It adds a little detail. These are super flattering and affordable! Hope you all loved a little jeans review today! !